Verdict: Vicky Kaushal’s Phenomenal Performance And A Gripping Premise DESERVES A HUGE THUMBS UP! 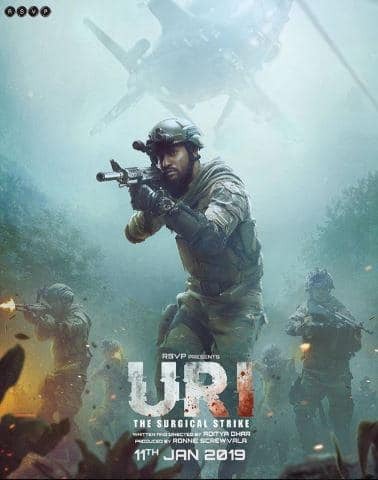 Uri-The Surgical Strikes is one film that reinstates the heaviness of content in the films of today. A film of this sort reinstates that cinema is a Director’s medium. The actors are supposed to work according the script and film is as good as it’s script! Having said that, it is a known fact that the film is based on real events. The Surgical strike that was conducted by the Indian army in the year 2016 in retaliation of the Fidaayeen attack made by four militants on an army base near the town of Uri. In the attack nineteen army soldiers were killed. The film has Vicky Kaushal, Kirti Kulhari, Paresh Rawal, Rajit Kapoor, Mohit Raina, Swaroop Sampat, Kirti Kulhari and Yami Gautam playing prominent characters. Vicky Kaushal’s portrayal of Major Vihaan Singh Shergill was goose bump inducing. He looked the part and how. He owned his character. As a viewer, it never for a moment felt as though I am watching an actor enact a part and that is commendable! Kaushal has indeed come a long way. The intensity in his eyes, the sharpness in his demeanour and the seriousness of his countenance was more than convincing. It seemed as though he was the best choice for the film and no one else could have done justice to the role the way he did! Mohit Raina did make his presence felt in the first half of the film and it was quite an impressive debut. Paresh Rawal was good as usual. He is an actor par excellence and he has proven it for years and that’s nothing new. To watch him play the national security advisor was a treat - the panic of the outcome was palpable in his eyes when the attack was being executed, the happiness was evident in his countenance when the Indian army emerged victorious. There was nothing that was unbecoming of sorts in his performance. The characters of Prime minister Narendra Modi played by Rajit Kapoor and the then defence minister Manohar Parrikar wasn’t really carved out well and therefore did not work out well. It is almost necessary for me to mention in this context that in the beginning of the film, it was mentioned that even though the film was based on true events there were certain parts in the film that did not confirm to the exact way things happened and certain cinematic [liberties were taken and hence that aforementioned fallacies do not count, precisely because we were not watching a documentary. We were watching a feature film that has every right to mould a little to make room for emotions which cater to the viewing public! Therefore, it is fine as long as it did not outweigh the facts and the narrative on the whole! Kirti Kulhari’s Indian Air Force Officer Seemat Kaur played a crucial role in the operation and she very convincingly played the part. What I particularly liked about choosing the best team for the purpose was that the emotions directed logic and that really made a lot of sense! You see, now that I have seen the film, it is kind of difficult for me to talk about it or dissect it into halves. I loved the film in its entirety! It all was pretty flowing! Every character was well rounded and their backgrounds were laid in front giving he viewers ample understanding of where they were coming from! Yami Gautam is good too, however, she did not quite get ample to display her acting skills much in the film but with whatever time she had, she did a fairly decent job. I have to mention the name of Swaroop Sampat who played the role of Vicky’s Alzheimer ridden mother. She is a wonderful actress and she too has proved her mettle over the years! In this film too, she was phenomenal. Her expressions, her feeble looks or just the way she stares into nothingness deserves applause! She was lovely! The soundtrack by Shashwat Sachdev also deserves a special mention. It was hair-raising! Thankfully there was just one song in the film and no other song was forcefully crammed into the narrative. That was perhaps the best part. 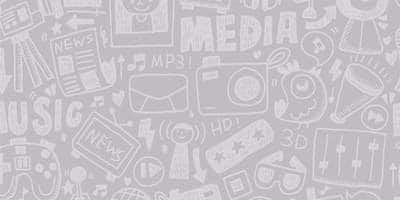 It was sharp, it made hearts skip a beat and that is what is desired at the end of the day! The cinematography by Mitesh Mirchandani too was edgy. At once tranquil with the rays of the sun cutting through the forest greens and at once palpitating. There were some chase scenes (not literally though) – there were scenes of the camera tracking with the actors running at full force and it wouldn’t be an exaggeration to state that they were perhaps the best running scenes shot in Indian cinema till date. However, the over usage of the camera jerks in some of the initial night-war scenes in the film could be eliminated because the jerky movement looked overtly forced.